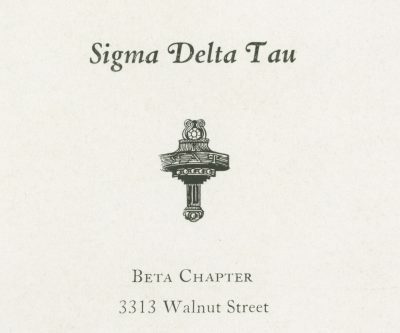 Sigma Delta Tau was founded on March 25, 1917, at Cornell University in Ithaca, New York, by seven Jewish women who felt discriminated against by existing Greek organizations. The Sigma Delta Tau motto is “One hope of many people.” Its colors are café au lait and old blue and its flower is the Golden Tea rose. 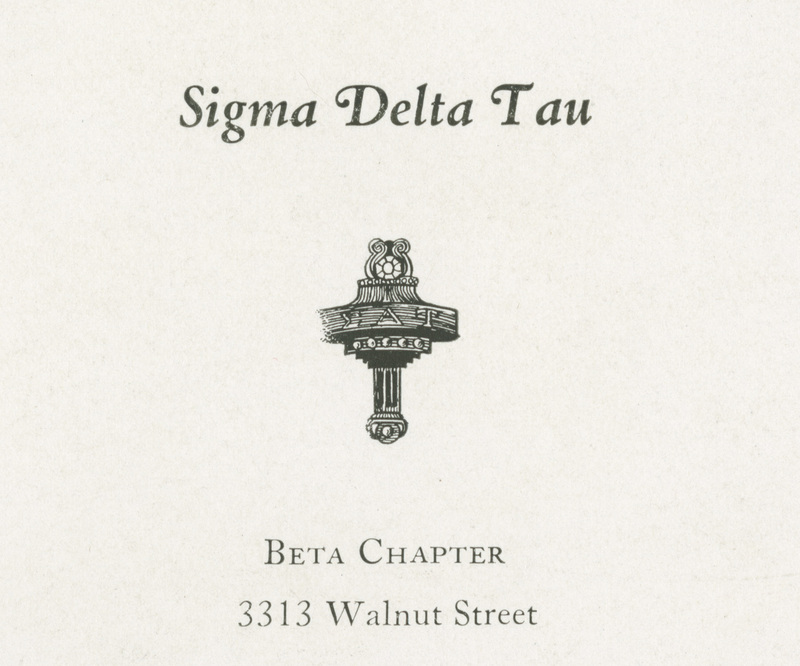 The Beta chapter of Sigma Delta Tau was founded at Penn on June 20, 1920.